They say that the end must come in all things and with this double bill it’s the turn of Borgen. That said all those ideas that have floated through our mind whilst watching as to just how it will all end are now put to the test. So be warned if you haven’t seen these episodes yet that there are SPOILERS AHEAD! It’s the final double bill for a series that reinstalled this writer’s faith in television after a long period of not enjoying it that much. (The Killing, of course, is also one of the shows that did that) What will happen? Who will win? Where will all the characters end up? The whole gamut of journalistic imperatives was at stake here. It was a nail biting conclusion to a series that never was less than so. After Torben’s break down at the end of last week’s episodes it was a bleak forecast we thought here at #srcz but it turned out more of a cloudy sky than a thunderstorm for all concerned. Most important was the resolution of Torben’s sudden character changes this series – and thankfully he ended back on the way we liked him best. After finally, courtesy of a word in the ear from the always reliable Hanne, realising that speaking is truly the best way to resolve a situation he used his words to great effect. With his marriage mended, Pia let down gently and a nice retort to the very annoying (and departed from TV1 by the end of the series) Alex Hjort he was back in our good books. That’s one satisfactory conclusion, but what of Birgitte? With a scare over a lump on her breast resolved she was free to do what she was supposed to be doing – winning an election! That she did, of course, with her usual precise manner and a new stability as she steps out with Jeremy in public for the first time as a family. We always knew that a character as principled and determined as Birgitte would win out – and clearly the writers did as well as she ends the series as a whole declaring Danish political center Borgen as her second home. Indeed – and from a viewers point of view it would hard to disassociate her from that iconic location. Katrine is perhaps the quietest of all here, although her story line has always been more domestic. Since our last double bill there have been some developments on both personal and professional levels. For a start, election fever has pushed the wind of the spin doctor into her to impressive levels. During these episodes she’s at her most confident and as the final result shows, it’s all good. And that economist fellow she was flirting with last week? Well, by the final scenes they are an item. 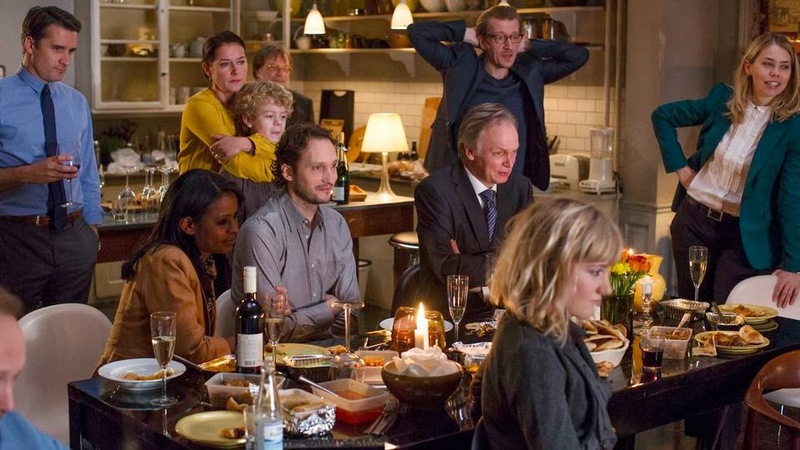 Although the politics is by far the most riveting part of Borgen, especially in this series, these moments show that like any work place, good things can come from extreme pressure and the closeness it brings. As a whole this was a fair conclusion to a series that has caused much examination of the role of women in politics (especially in the UK), spawned a thousand blogs examining its wonderful furniture and fashions and made a case for believing that with hard work and a positive outlook the dreams we think impossible can come true. With lessons learned, mistakes admitted and a healing of the numerous wounds developed over this oft-turbulent third series Borgen ended on a high. Do we want more? Yes. But do we think you could improve on what has been an excellent 30 episodes of television that easily outclassed most of our own home grown drama? No. #srcz will be back in January with The Bridge series 2. Until then god jul!